When looking for preschool problem-solving activities, remember the preschoolers' developmental level. They are at the Pre-operational stage of human development (ages 3-7), meaning that they can only think of one dimension of a problem at a time. The activities here have been chosen for that premise and are ones that will help your preschool students to mature. Let's cover problem-solving in preschool, starting with workbook ideas and then hands-on activities to practice these skills. Teachers should have a collection of workbooks to build problem-solving skills for preschool students. Although it is not recommended to use just skill books, when used periodically these engaging books are a powerful tool for learning and Kindergarten preparation. 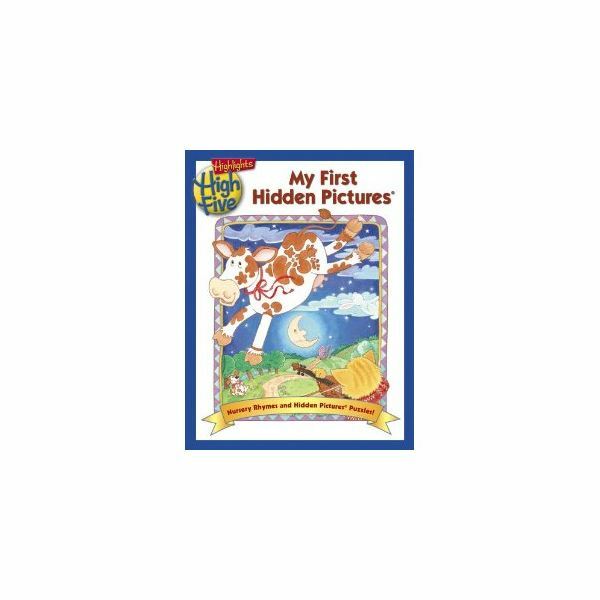 have the preschooler circle or color the hidden picture and the other is for the child to cover the hidden picture with the matching sticker. 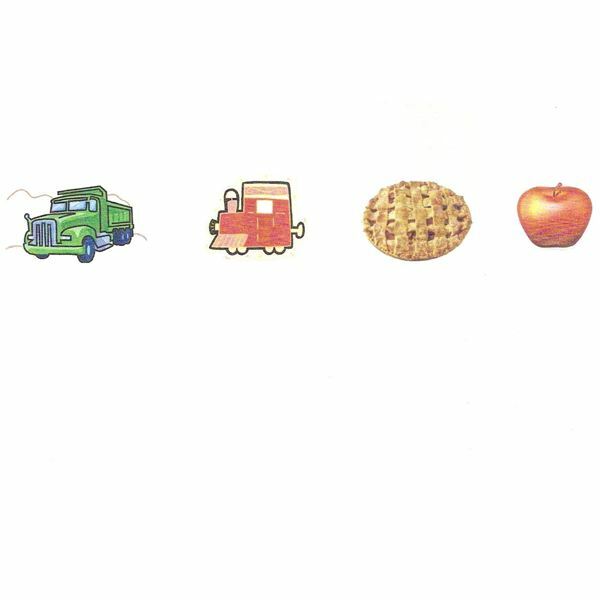 Preschoolers enjoy the sticker style, but practically speaking it is more economical to purchase a book and photocopy the number of pages needed. Certainly the sticker style can be put on the list of recommended books to practice at home. The one shown here reinforces nursery rhymes. Dot-to-Dot books- Preschool students will wonder what the picture is going to be when they connect the dots. These can be used with numbers or alphabet letters and the pages are reproducible. Be sure to review them before selecting because some are more complicated than others. What is Wrong with the Picture books– students discern the problem in the picture and circle or color it. Book cover is courtesy of Amazon. In addition to using practice books, try these hands-on extension activities to build problem-solving skills in the preschool classroom. For best use, provide repetitive practice. Puzzles- offline and online, jigsaw puzzles are a favorite for this age group. Jigsaw puzzles are very easy to make. Download a printable (relate the printable to a theme or a book character the kids love to read about); glue the picture to card stock and laminate. Cut the picture into 6 pieces. Place the puzzles into storage bags to use again and again. The Kidz Page offers a load of puzzles online for young students. Be sure to click on the number six for 6 puzzle pieces as opposed to 12 puzzle pieces, because 12 will likely be too high for this age group at first. Also, refresh the number 6 each time the student does a new puzzle. Patterning- use blocks, beads and other manipulatives to build spatial reasoning and patterning skills. After reading Strega Nona glue noodles to start a pattern onto card stock. Create different patterns. Give the students the rest of the colored noodles to finish the patterns. Have them glue the pattern down or use the cards again and again as a center game. Same and different- teach children to learn the terms "same" and "different" by providing objects that are alike or different by color, shape or size. Trace four shapes on to cardstock; three that are the same and one different. Laminate the cards. Have the student place an X over the one that is different with a dry erase marker. This can then be done for color and size. So, three colors the same, one different. Three shapes the same, one different. A sample on shapes, which can be downloaded in the Bright Hub media file titled, Which One Is Different, can be used to make some cards or as an assessment. Estimation- show students a set number of objects, for example 7 beads. Ask them; is the number closer to 5 or 10? Repeat with different numbers. Mazes- once a week build your own classroom maze with chairs. One or two students are selected to get from point A to point B. Have the students carry an object, say a teddy bear. Tell them that they have to help teddy bear find the block. Be sure to include a point C so they have to think about the correct path to take. This maze can be set up with building blocks if enough chairs are not available. Instead of walking through the maze, students can pretend to drive a car to the right destination. Tic Tac Toe- can be done in small groups on dry erase boards. Directions- have the students practice following two directions. For example, give the students a group of four pictures in a row (such as in the picture shown). Tell them to draw a circle around the truck. Draw an X on the pie. This can be done with manipulatives as well. Say, "turn the truck over". "Put the block on the chair." Practice with different classroom objects. Be sure to have four objects in front of the child. Memory games- cause students to think it through before making selections. Provides hours of fun both online and offline. The Kidz Page (above) has a few that a preschooler can do. Online practice- PBS has several problem-solving games to play online for the preschool age. There are so many problem-solving games to choose from, but selecting one per day will help to reinforce the skills they are learning in class. Also, preview them as some are more difficult than others. This is a great opportunity to reach students of different ability levels. Preschool teachers have the unique opportunity to develop critical thinking skills in their students through problem solving activities. These were chosen to meet their developmental needs.